The highly controversial U.S .trade case against China began on October 19, 2011, when the U.S. arm of Frankfurt-based SolarWorld and six other U.S. solar manufacturers filed a petition claiming that Chinese PV companies benefit from subsidies like free land and low-interest government loans that allow the companies to dump PVs in the U.S. market for less than it costs to manufacture and ship them which is driving American companies out of business. SolarWorld and the 6 U.S. PV makers, including Milwaukee’s Helios Solar Works and Somerset, NJ-based MX Solar USA, a Milan-based solar manufacturer, filed the petition simultaneously with the U.S. International Trade Commission and the U.S .Department of Commerce under the newly formed Coalition for American Solar Manufacturing (CASM). The remaining four of the original 7 petitioners have remained anonymous. "China's predatory and illegal aggression is crippling the U.S. industry," the Coalition for American Solar Manufacturing said in an October 19, 2011, written statement. SolarWorld had made the decision in early 2011 to assemble a coalition for its case against China before Solyndra’s difficulties became widely known, according to statements made by Gordon Brinser, SolarWorld’s president. Then on May 17, 2012, the U.S. Commerce Department imposed a preliminary ruling on tariffs on Chinese PV cells and panels. The Commerce Department also granted CASM’s "critical circumstances" findings request to counter any rush of Chinese PVs into the US in the months before the decision, making the tariffs retroactive 90 days. The Commerce Department ruling covers imports of PV cells produced in China and solar panels made in China that use Chinese-made PVcells as well as panels made outside of China that use PVs produced in China. The Department of Commerce, to avoid name changes and shipping under different names from third countries has also applied the tariffs to Chinese panel makers who have not previously exported to America. Some stocks of major Chinese solar manufacturers fell on the May 2012 news. “In the first major ruling in the trade cases, the U.S. International Trade Commission issued a unanimous preliminary ruling that Chinese trade practices were injuring the domestic manufacturing industry. In its next major ruling, the Department of Commerce will announce on May 17 the extent to which Chinese solar industry has dumped solar cells and panels on the U.S. market at artificially low prices to drive out U.S. competition,” according to a CASM. The Commerce Department chose China's Suntech and Trina Solar as"mandatory respondents" in the case, as they were the two biggest exporters during the period examined. Suntech Power Holdings, the world's largest producer of solar panels, will face anti-dumping duties of 31.22 percent. 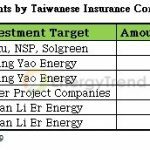 Trina Solar faces a tariff of 31.14 percent and Yingli Solar will be subject to a tariff of 31.18 percent.In total, the Department of Commerce targeted 61 Chinese companies including LDK Solar, Canadian Solar, Hanwha solar One, JA Solar Holding and Jinko Solar. A final decision on the tariff duties is expected in October. "Despite these harmful trade barriers, we hope that the U.S., China and all countries will engage in constructive dialogue to avert a deepening solar trade war," said Andrew Beebe,Suntech's chief commercial officer. "Suntech opposes trade barriers at any point in the global solar supply chain. All leading companies in the global solar industry want to see a trade war averted. We need more competition and innovation, not litigation." Meanwhile, German-based SolarWorld, the largest maker of conventional solar panels in the U.S. with operations based in Oregon that employees 1,100 US workers, is also exploring whether to file a similar action in Europe against China. The trade case has divided the U.S. solar industry into a high-profile battle between manufacturers and installers. A two-way trade war would shrink these projects and hurt many U.S. companies that either benefit from exporting solar products to China or import solar panels. In 2011, imports of solar cells from China were valued at about $3.1 billion, according to the Commerce Department. That was up from $1.5 billion in 2010 and $640 million in 2009. On the other end of the trade war are exports to China: According to statistics from the China Chamber of Commerce for Import and Export of Machinery and Electronic Products, China imports more than $2 billion worth of polysilicons, ethylene vinyl acetate and other materials from the US every year. The Coalition for Affordable Solar Energy (CASE) was formed in November 2011 to oppose the trade petition filed in October 2011. Today, CASE members include fast-growing Bay Area startups like SolarCity, SunRun and Sungevity that install solar panels, including panels made in China. "This is not a good outcome for the U.S. solar industry," said Jigar Shah, president of CASE. Most U.S. solar installers use Chinese-made photovoltaic panels and many large domestic solar installers have lobbied aggressively against tariffs, arguing that increased panel costs will slow U.S. solar adoption and kill more jobs than it saves in manufacturing. Studies indicate that the majority of solar employees are not active in manufacturing jobs but rather are in downstream positions such as installation, sales, etc., which rely on low-cost equipment to be competitive. In 2011, only a quarter of American solar jobs were in manufacturing, compared to over half in installation. U.S. 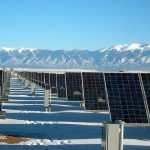 Solar Energy Industries Association (SEIA) is not expected to take a side over the trade fight against China because it’s membership includes American subsidiaries of several other Chinese solar manufacturers such as Suntech, as well as American companies that sell raw materials and factory equipment to China. Established in 1974, the Solar Energy Industries Association is the national trade association of about 1,000 member companies. “In addition, the U.S. solar manufacturing base goes well beyond solar cell and module production and includes billions of dollars of recent investments into the production of polysilicon, polymers, and solar manufacturing equipment, products which are largely destined for export. If the U.S.-China solar trade disputes continue to escalate, it will jeopardize these U.S. investments. Given these broader implications, it is imperative that the U.S., China, and other players in this dynamic global market work constructively to avert or resolve trade disputes that will ultimately hurt consumers and businesses throughout the solar value chain." The number of downstream solar installers and project developers who oppose tariffs has been rising. Joining the fight against the tariffs are manufacturers including Dow Corning, Hemlock Semiconductor, GT Advanced Technologies, MEMC, REC Silicon, andSuntech America. These companies represent over 3,000 jobs throughout the U.S, particularly in states such as Arizona, California, Michigan, Montana, New Hampshire, Oregon, Tennessee, Texas and Washington. Meanwhile, two other very prominent U.S. solar companies, First Solar and SunPower, have stayed out of the fight. “If successful, SolarWorld’s trade case will undermine the long-term job creation potential, infrastructure investment and overall growth of the U.S. solar industry,” remarked Kevin Lapidus, senior vice president of legal and government affairs of SunEdison in a May 3, 2012, CASE press release. Jonathan Bass, a SolarCity spokesman also told Forbeson May 18, 2012: “Artificial cost increases designed to help a handful of companies at the expense of thousands of others in all fifty states simply don’t make sense.” SolarCity employs 1,800 workers in a dozen states. ”Let’s state plainly what’s going on here. A group of manufacturers who can’t compete with today’s solar panel prices are seeking to erect trade barriers to make the US a ‘safe market’ for their own more expensive solar panels. They want to prevent Americans from getting access to low-cost solar panels and low-cost solar electricity so they can sell their own more costly product to them instead. The irony that the China-US solar trade war has been initiated by a German-based rather than a US-based company has not been lost. Interestingly, some tariff critics have touched upon possible solutions. “Now is the time to take an active position urging for the establishment of a global free trade agreement for renewable energy products. This will not be an easy achievement nor will it be accomplished anytime soon. However, a free trade agreement on PV and renewable energy products must be our ultimate goal in order to sustain a healthy global industry focused on replacing fossil fuels with clean, renewable energy sources.